C.O. Bigelow Lemon Lip Balm is softening lip formula infused with shea butter and pure lemon extract to soften and soothe lips..
Softens, soothes and cares for lips with Vitamin C-rich and super-nourishing Shea Butter. Formulated with a high concentration of lemon oil and extract (3.5%), this addictive Lemon Lip Balm is packed with vitamins and minerals, providing a major dose of Vitamin C. 100% natural lemon flavor provides a tangy burst, while ultra-moisturizing shea butter (1%) nourishes and conditions lips. 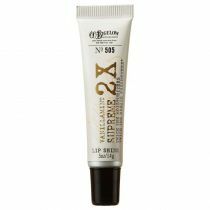 The creamy formula glides on smooth, leaving lips feeling soft and moisturized. C.O. 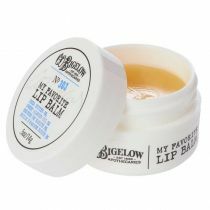 Bigelow Lemon Lip Balm is a nourishing lip balm with Shea Butter to soften and soothe lips. My all-time favorite lip balm! This is my go to lip balm. Its a must. I usually have to stock up on this and have plenty of backups. My husband is ocd about chapstick and is always stealing this from me because he loves how it makes his lips feel and goes through a tube of this in about two weeks!! I purchase it at my local bath and body works for around 7.99$ which i think is a little pricey but when you buy two you get one free! I am obsessed with the smell of this and it seriously feels like butter on your lips. and it actually lasts quite awhile. 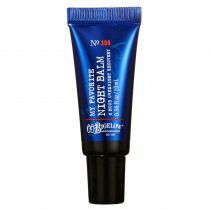 The product is very smooth and tends to melt easily in heat and sometimes the sides scrape when twisting it down but the product is soooooo worth it. I just wish the tubes were a LITTLE bit bigger so they last longer. 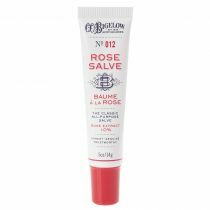 If you tend to apply lip balm constantly throughout the day this tube wont last you long but i deffinetly recommend it because the pros of this product out weigh the cons and this is going on my 7th tube i've bought this year!! <3 love it. Love this lip balm it is great!!!!! Such a help now that it is winter and so dry. Thanks C.O. Bigelow for all of your great stuff!!!!! 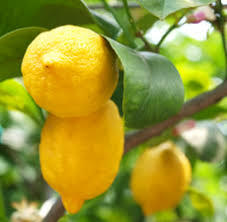 Lemon Oil & Extracts have detoxifying properties and skin-brightening properties. Hydrogenated Polydecene, Petrolatum, Octyldocecanol, Polyethylene, Ozokerite, Beeswax (Cera Alba, Cire d'abeille), Citrus Medica Limonum (Lemon) Peel Oil, Butyrospermum Parkii (Shea Butter), Citrus Medica Limonum (Lemon) Peel Extract, Simmondsia Chinensis (Jojoba) Seed Oil, Vitis Vinifera (Grape) Seed Oil, Helianthus Annuus (Sunflower) Seed Oil, Sodium Saccharin..